When your guests enter the room, our packages can add an elegant feel or let them know it’s time to party! 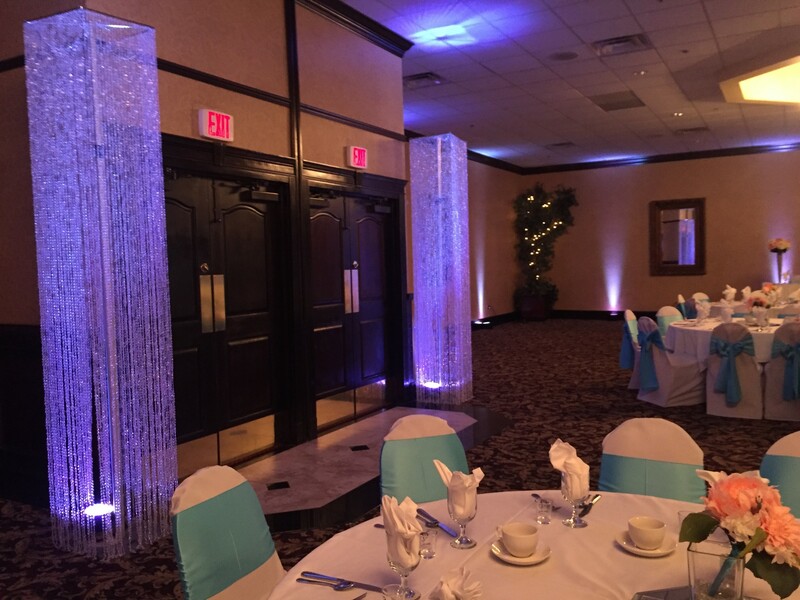 The Full Room Uplighting package includes LED Controlled Uplighting placed accordingly throughout your room. You can select from the colors of Red, Green, Lime Green, Blue, Teal, White and Magenta. Upgrade your lighting package to our Color Coded package! The color options are endless. Chose Mint Green, Tiffany Blue, Blush, Petal or Hot Pink, Purple, Amber, Yellow, Orange… There are over 1,000 options! 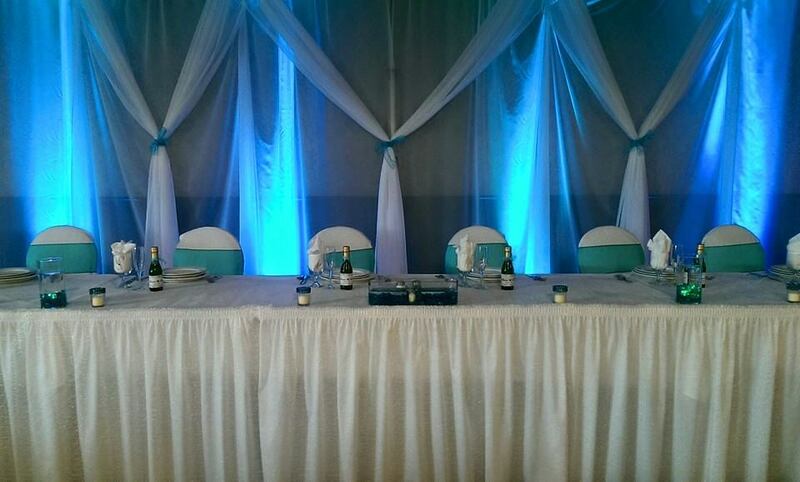 Our technician will code each individual light to match your wedding theme. 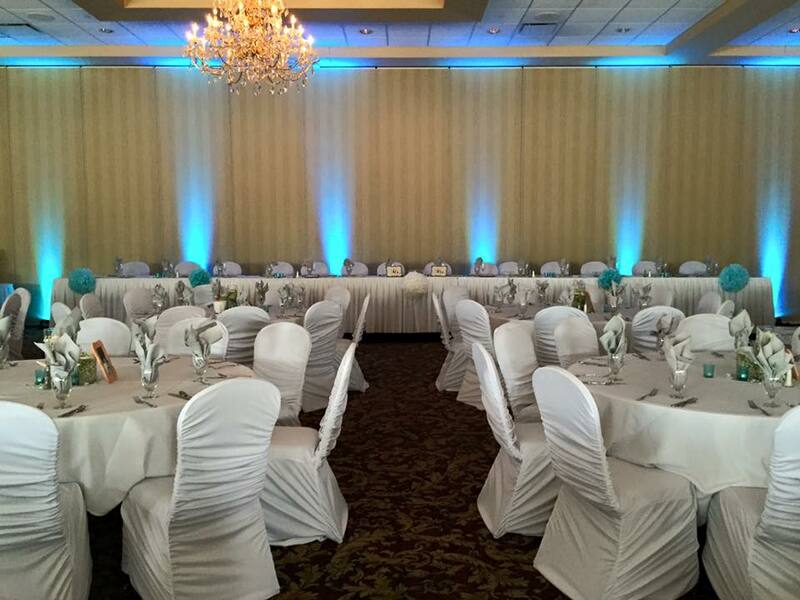 Take your lighting package to the highest level with our DMX Lighting package and the color choices are never-ending. DMXing Lighting lets us select your room color by connecting and controlling the uplights through our color board. 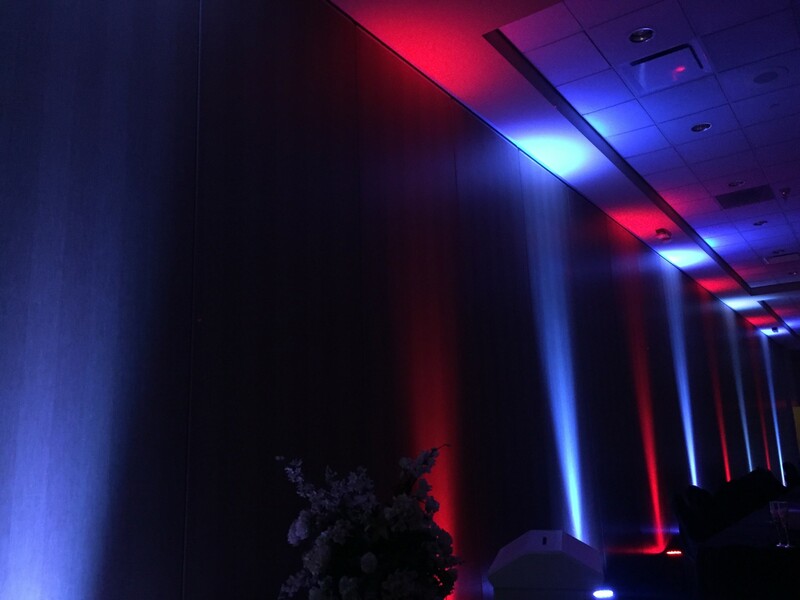 With DMX Lighting you can choose one color or put them on a rotation of colors throughout the night. 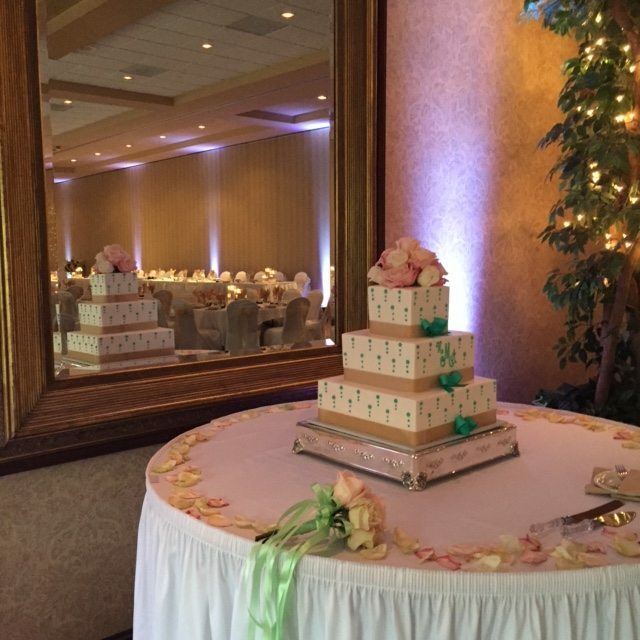 A Custom Designed Monogram is a unique and personal touch to add to your event. The Monogram is shined up on the venue wall and displayed with a light fixture or projector depending on the placement and design. They are normally designed with your name and date and/or theme. They can also be designed in color! TJ Monte Productions is introducing our latest addition… The Projectogram! Contact us today for further information and examples! Our Lighting packages can change the look of any room. Contact us anytime to set up an in-studio consultation!